It might be obvious, but Mother Nature’s fine works of ice sculpted over centuries deserve to kick off this list. These glassy white behemoths standing tall in the midst of rough, choppy waters dominate the landscape in Antarctica, and you’ll be glad they do. It’s easy to forget about your stresses of modern life with the cold, fresh air enveloping you while you’re staring, mesmerized, at these icy wonders. Sometimes surrounded by enchanting cerulean waters, they look as surreal in real life as they do in pictures. Though we just raved about the unreal beauty of icebergs, the truth is that oftentimes, their undersides are even more stunning. It’s rare to see one of these icy giants flipped over in the water, but it’s a sight unlike anything you’ve seen before. Instead of pure and brilliant white, the underbellies of these titans shine in a glowing patchwork of deep blues and dark grays. Imagine a giant gemstone floating casually in the Antarctic Ocean, its glossy ridges giving way to an ethereal mix of shimmering blues, almost as if it was softly lit up from the inside. This scarce and irresistible beauty is something that you just NEED to see. If you’re heading to the Caribbean in hopes of experiencing the world’s clearest waters, you might want to think again. Because actually, scientists say that Weddell Sea boasts the clearest waters of any sea on Earth, proving that it’s not just the ice that’s beautiful in Antarctica, but the water it floats in as well. 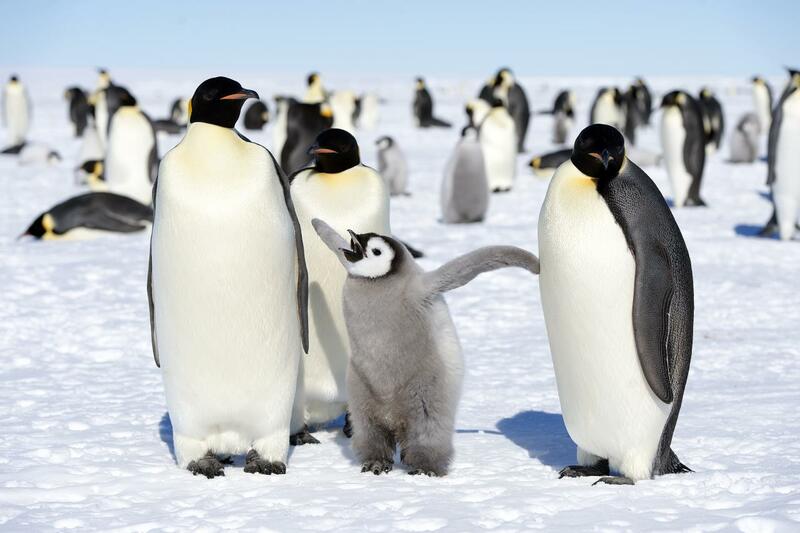 One of nature’s cutest animals will welcome you in droves if you journey to this icy land. While it’s an amazing enough experience just to witness these charismatic birds in their natural habitat, you might have a chance to get even friendlier with the penguins. And though it’s never a good idea to get too close to wildlife on tours, sometimes it’s fine if they take it upon themselves to get closer to you! Take this tourist, for example, who was lying down on a beach observing the fascinating animals when a baby penguin just marched right up to him and began nuzzling him. The southernmost headland of Chile’s Tierra del Fuego archipelago, this rocky outcrop marks the boundary of the historic Drake Passage. 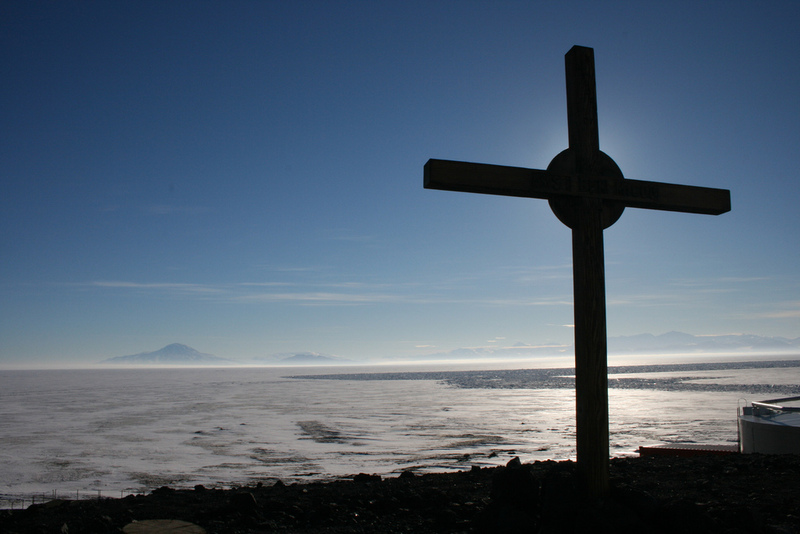 Known for its rough waters, this well-traveled point marks the strait between South America and Antarctica. An incredibly unique sight, this part of a Chilean national park fosters penguins and the world’s southernmost lighthouse among its lush but treeless landscape. At least 15 species of whales are commonly found in Antarctic waters, giving you a chance to see various types of these charming cetaceans. From humpback whales to gigantic blue whales to iconic killer whales, these mammoth creatures make a stunning sight if you get lucky enough to see them crest above the water. There are even more types of seals and sea lions which call the icy structures of Antarctica home than there are whales which swim about in the surrounding seas! 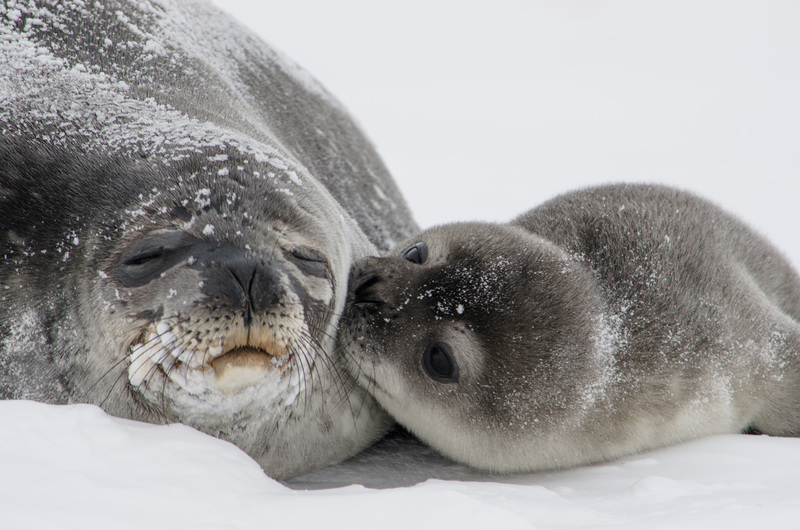 Weddell seals, the southernmost mammals permanently inhabiting the continent, are friendly and approachable. While they look cumbersome on land, elephant seals can pull of some amazing diving maneuvers beneath the water. And if there’s one place on Earth to spot rare seals with unusually-colored coats, it’s Antarctica, where seals with golden-colored coasts have occasionally been sighted. An odd-shaped cove situated between three rock formations jutting out into the cold inner waters of the southern bay, this intriguing destination is a great place to see penguins nesting in their natural habitat, framed by extraordinary vistas of glaciers and mountains. Yes, there are mountains in Antarctica and they are some of the most spectacular on Earth. With over 2,600 peaks, this icy empire is a far cry from being defined by simply flat and jagged glaciers! 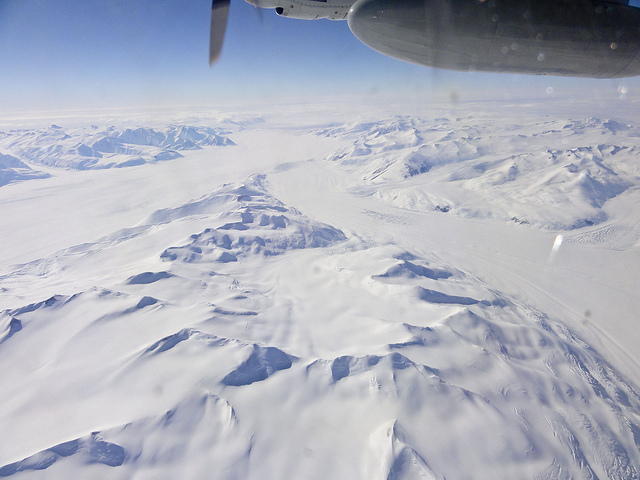 At 16,050 feet, Mount Vinson is the highest, standing watch above the Ronne Ice Shelf. But really, it’s not just the mountains that are unfailingly beautiful. With hardly any marks of permanent civilization, this continent remains relatively untouched by humanity, which makes for a pure but unparalleled tourist destination. When it comes down to it, the whole Antarctic landscape is something of such otherworldly beauty that you can’t help but traverse the continent in a perpetual state of captivation. They say “seeing is believing,” but even constantly surrounded by natural beauty of an unimaginable caliber in Antarctica, taking in the polar scenery might still feel like a dream. It’s a breath of crisp, fresh air that is the antidote to this. As soon as you take a moment to truly appreciate the pure, unsoiled air, you’ll realize that yes, you are in Antarctica! And yes, everything is exactly as fantastic and unspoiled as it seems. 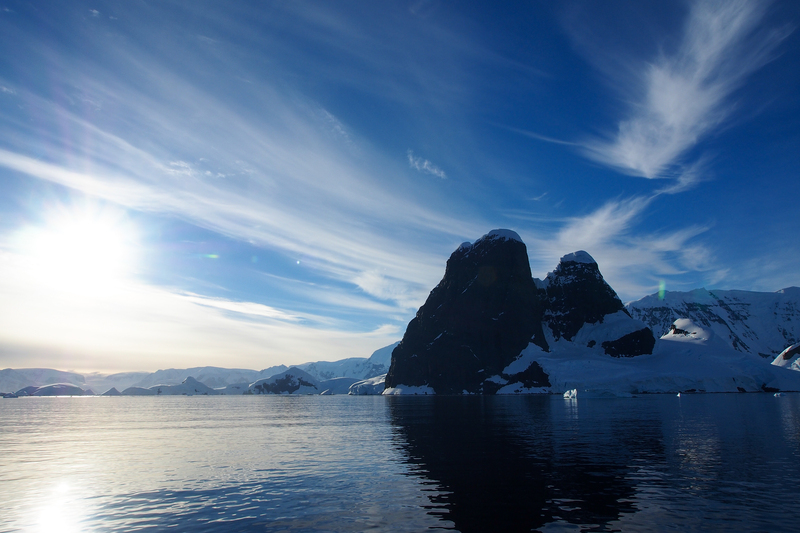 If you have one mantra in Antarctica, make it this: breathing is believing. Though it might not seem like it at first glance, Antarctica is the perfect place to do more than just looking at scenery. (Okay, perhaps a better way of saying that is that Antarctica is the perfect place to do some adventure tourism… while still looking at scenery. It’s really hard to take your eyes off the landscape!) 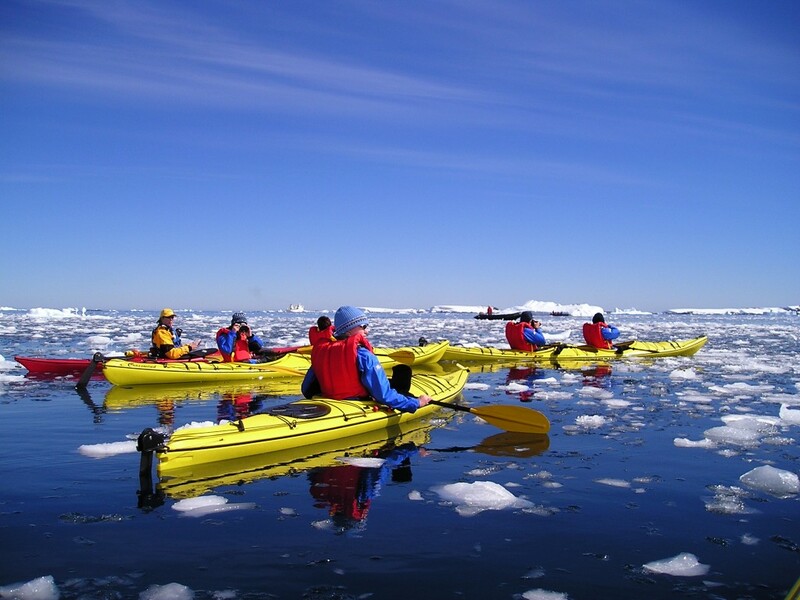 Regardless, kayaking is quite a popular and unique activity which gives you a completely different perspective as you paddle atop the calm and clear waters among small pieces of floating ice. Plus, you can get a close up view of the continent’s wonderful wildlife as they swim and jump in the ocean! Imagine your tent as the only thing atop a flat surface of snow and ice for as far as they eye can see, or at least until the mountains rise up in the distance. Spending an intimate night getting to know the stars and the ice is an activity unlike any other. It’s a grand opportunity to make seals and penguins your neighbors, to melt into the scenery, to slow down to the pace of Antarctic life and simply enjoy the stark beauty of your surroundings. With the right gear and preparation – and these are truly essential – camping on this frigid continent is definitely a possibility you won’t want to miss out on! Whales, seals, penguins… and birds! That’s right, the skies are another place to search for life on this icy continent. There are actually an impressive 45 species of birds which inhabit Antarctica, and one of them is endemic to the continent. The best time to spot these avifauna is in the springtime, when the likes of albatrosses, gulls, and more journey to the continent’s rocky coastline and offshore islands for their yearly breeding ritual. Natural castles of ice. Pure, majestic beauty. There’s nothing more to say about these frozen titans. A scientific powerhouse, sixteen research stations lie within this sovereign group of islands. They are a frequent stop for those traveling through the Drake Passage to the Antarctic Peninsula, and each of the islands offers different and appealing activities. It’s probably the last place on Earth you’d expect to find them, but yes, there are hot springs in Antarctica! This mind-boggling idea alone is enough to merit a visit to Deception Island, famous for being one of the continent’s safest harbors. The island itself is the caldera of an active volcano, which allows you to have incredibly unique experiences. 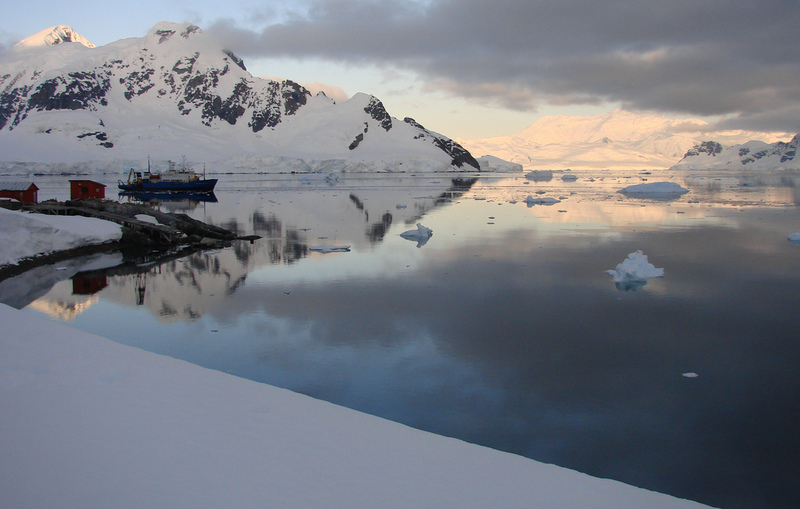 Take Pendulum Cove, for example, whose volcanically-heated warm waters make it the only place in the world where you can take a pleasant dip in the Antarctic Ocean! This picturesque bay, one of only two on the continent used to receive cruise ships, truly does live up to its name as a frozen paradise. It’s a great place to slow down and take in the bluish white icebergs and penguins playing along the shores. Paradise Bay Antarctica Underwater from Louisa Michelin on Vimeo. Composed of lava flows topped with a cinder cone, this circular island has a significant penguin population, making it the perfect place for sightseeing and observing wildlife. Due to geothermal activity, many parts of the island are free of ice, making it distinct from the surrounding landscape. 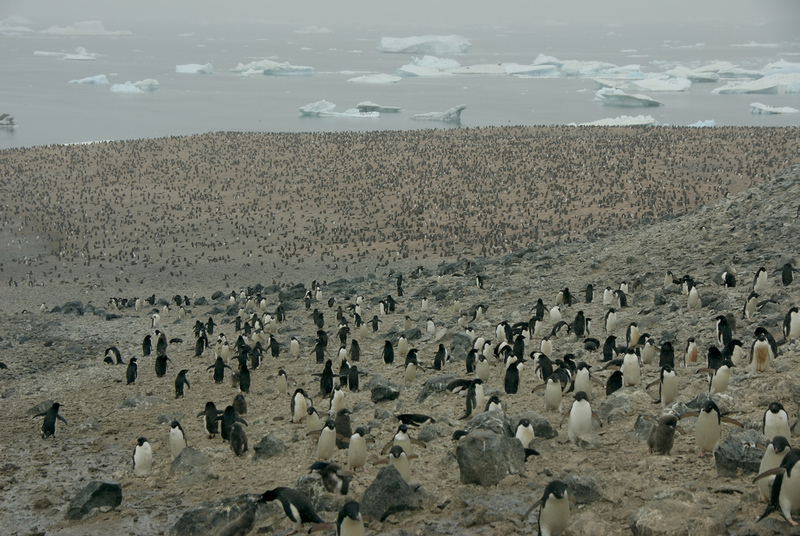 Penguin pairs, white slopes of a permanent ice cap and the occasional exposed rock characterize this small, rounded island of volcanic origin. An important bird area and a great spot to catch breeding birds and penguins, its ice-free areas are covered in a rare blanket of moss and lichen. Antarctica — Part Eleven: Petermann Island and Vernadsky Station Plus Lemaire Channel from Terry Fein on Vimeo. The northernmost part of mainland Antarctica, imagery of the Antarctic Peninsula is iconic. With rocky mountains rising up out of the snowy seaside landscape, the peninsula is the place to be if you are looking for that perfect polar image. If you are a little more adventurous, you can even enjoy skiing along the Antarctic Peninsula – a difficult but one-of-a-kind feat you’ll never forget! 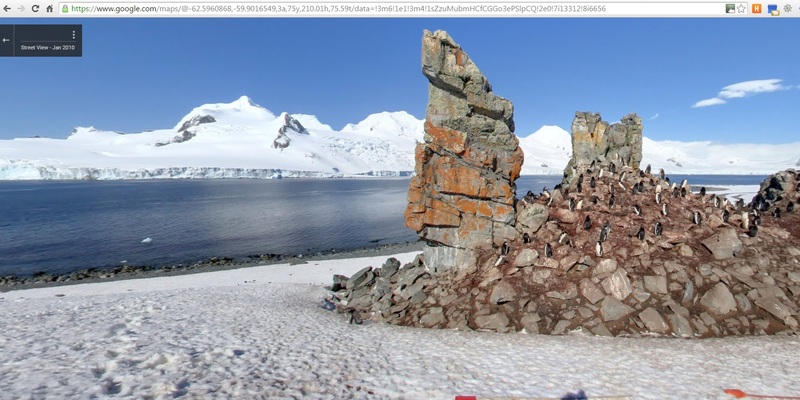 Many people don’t realize it, but the Antarctic even features landmarks of cultural heritage. 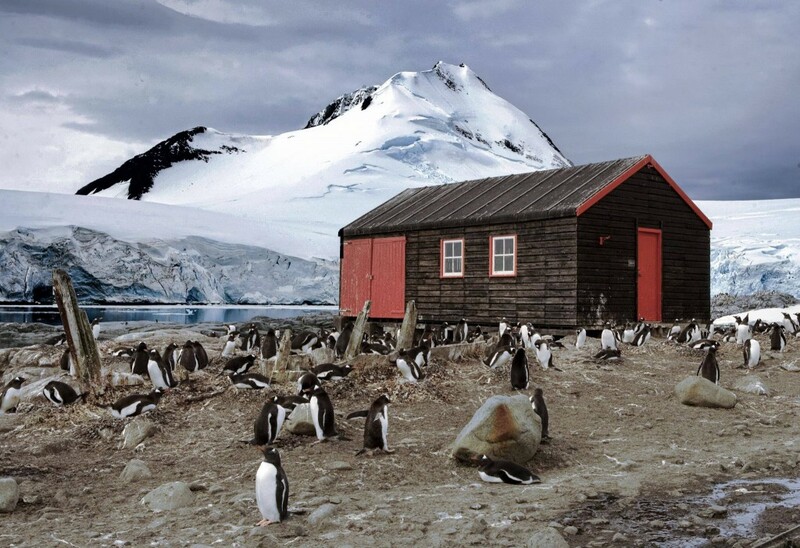 A group of buildings at Cape Denizen, located in the eastern part of Australia’s Antarctic territory, Mawson’s Huts are structures that were built and occupied by Australia’s Antarctic Expedition. The roots of this country’s now expansive Antarctic science program, the site is also a testament to the unwavering and curious human spirit that motivated adventurers to go on these explorations in the first place. It’s everywhere, giving the landscape an eerie yet calming chill that is found nowhere else on Earth. On the one hand it’s just frozen water, but on the other hand, this kingdom of ice is so darn magical that we have to keep raving about it. The Antarctic Ice Sheet is roughly the size of the United States and Mexico combined. We’ll let that sink in. A British Overseas Territory, this rugged island and the rest of the South Sandwich Islands are inhospitable for humans but harbor a celebrated wildlife sanctuary in the midst of rough and stormy seas. Stark grey rocks contrast with the turquoise and emerald hues emanating from the sea and the ice, make this island a truly colorful experience and a sort of oasis for bird life. Every adventure in Antarctica makes you feel like you’re exploring a foreign land, but in reality for much of your journey you’ll be gliding along in the wake of the explorer greats who came years before you. As you navigate the Polar Circle, you’ll be reliving the experience of one extraordinary Antarctic explorer – Captain James Cook. Captain Cook and the crew of his ship, aptly named Resolution, crossed this boundary (the line which marks the place on Earth where, due to the Earth’s rotation, for at least day around each solstice, the sun either does not rise or does not set) in January 1773. These three lauded explorers once engaged in an unofficial race to the South Pole, each hoping to be the first to reach this coveted geographic destination. Each had several harrowing experiences, and Scott even lost his life pursuing this Antarctic dream of his. You can follow in the footsteps of these historic legends happily, safely and slowly, reveling in the journey rather than racing to the destination. 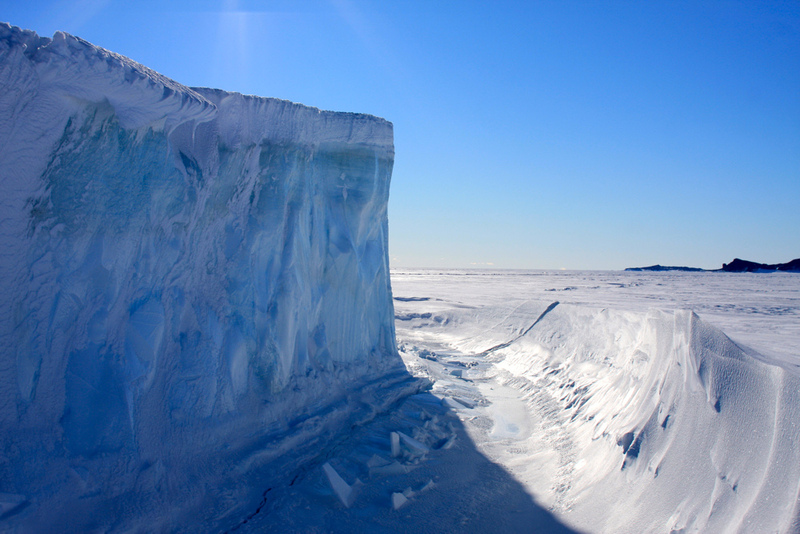 A floating sentinel lying at the head of the Weddell Sea, this humungous ice shelf extends for over 250 miles. Definitely a sight to see, it has also served as a great base for research, with Argentina, the United Kingdom, and the United States all operating scientific stations along its northern edge. If there is anyone who can rightfully call Antarctica a home, even for just some time, it is the scientists who spend years of their life living on this remote continent and studying its wonders. Biologists, geologists, meteorologists, and of course glaciologists all find this icy wonderland invaluable for uncovering new secrets in their respective fields. Scientists from over 28 nations come to this frozen land to conduct experiments that cannot be reproduced anywhere else in the world. Recently India completed construction of a new, state-of-the-art station for its scientists there, who are particularly interested in Antarctica because it was once part of the same prehistoric super-continent that India was. Every bit as spectacular as the Northern Lights, the signature Antarctic landscapes make this southern phenomenon something else entirely. 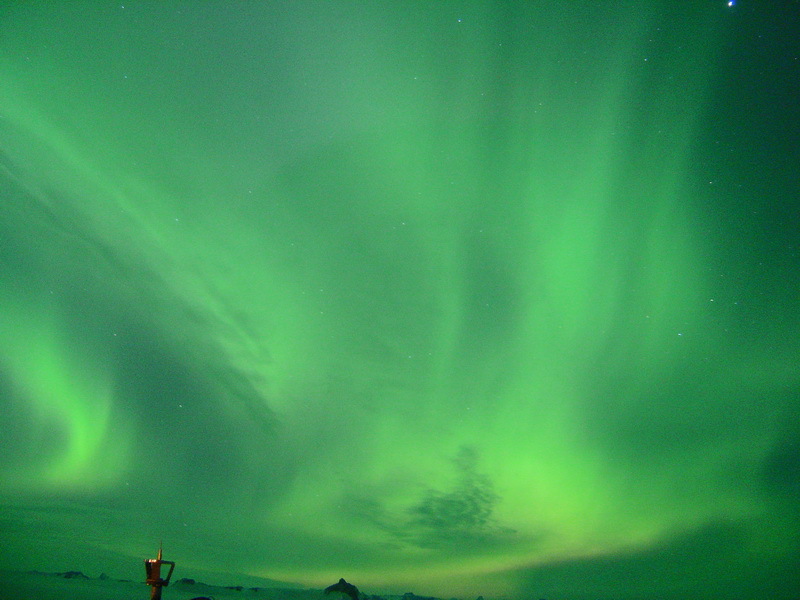 Even without the surreal green glow undulating across a star-studded sky, star-gazers and astronomers have headed to this icy southern continent for years to enjoy its prime observing conditions. With clearer and darker than most other places on Earth, Antarctica is a world-class destination when it comes to enjoying everything that the night sky has to offer. 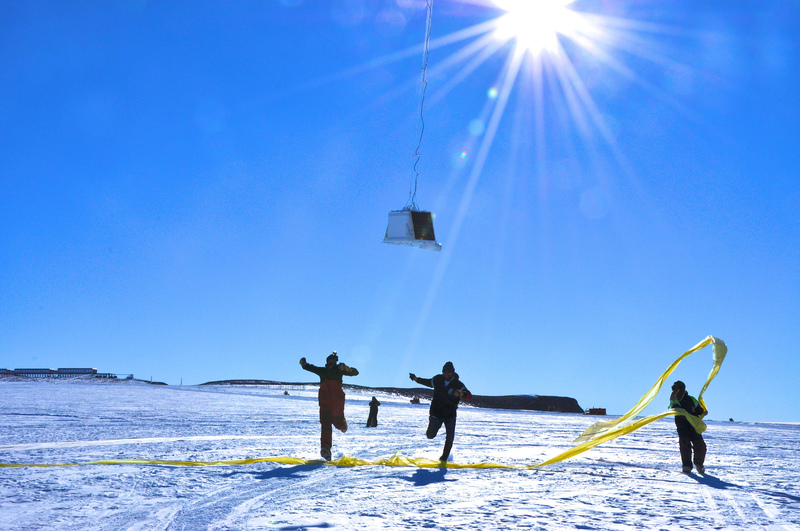 Nourishment is an important part of any journey, but in Antarctica, food logistics can get a bit complicated. But don’t think that you’ll have to hunt seals or eat whale blubber to survive on your trip – Nothing could be further from the truth. Today’s Antarctica tour companies provide delicious, freshly cooked gourmet meals and snacks for the whole duration of your trip, so you can just sit back, relax, and enjoy the scenery while the chef and service staff take care of everything. 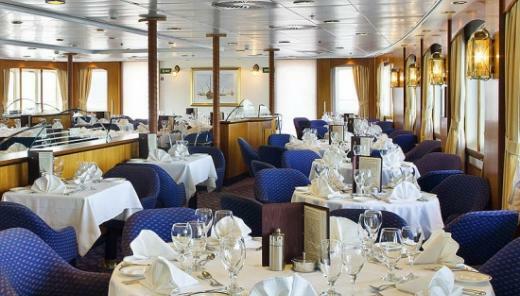 You’ll be well-fed to fuel your Antarctica exploration. 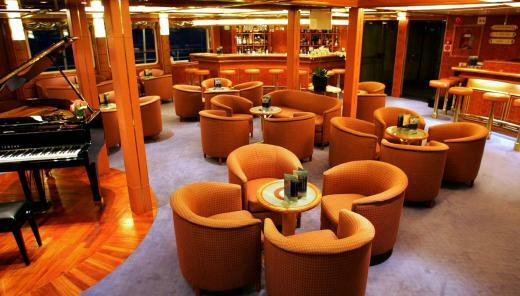 We bet you didn’t think you’d be able to sip on your favorite vino among the wintry landscapes of Antarctica, did you? Grapes don’t grow on the snowy slopes of glaciers, but that’s no problem as many Antarctica trips today ensure the cellar is well-stocked with wines from all over the world, from the beginning to the end of the trip. 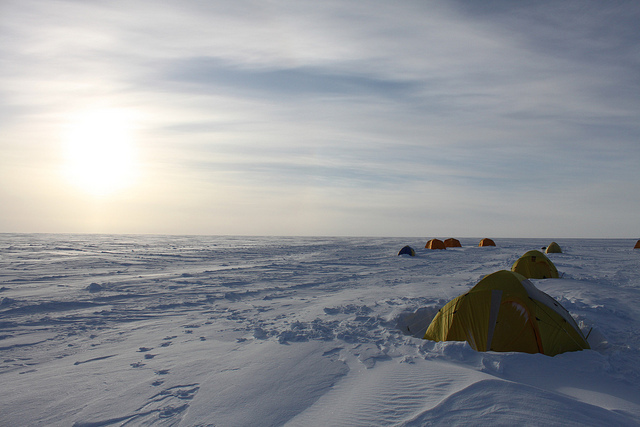 A good night’s sleep is one of the most important parts of any adventure, and it’s important to ensure you rest adequately each night for the next day’s Antarctic adventures. 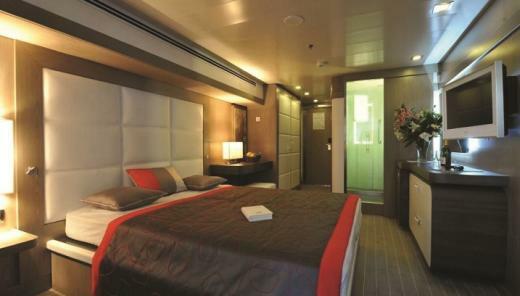 Tour providers these days provide comfortable accommodation that is comparable to that of a fancy hotel, so you can look forward to a warm cozy bed, soft pillows and blankets, and of course a lovely hot shower to start and end your day. This might be one of the last things you’d expect in Antarctica, but it turns out that there are some truly adventurous athletes dedicated to pushing boundaries. 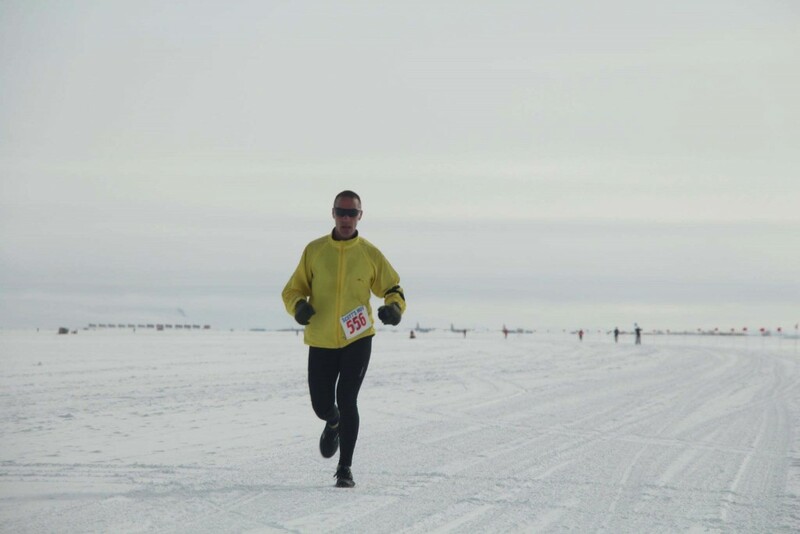 Conditions are understandably difficult for marathon runners, but the quintessential Antarctic vistas are reward enough for participating in this unbelievable event. Additionally, race organizers are always careful to plan the event such that no trash (for example, energy bar wrappers) can fly off into the environment and such that runners follow the age-old travel maxim and leave only their footprints. Where there is research or adventure, you’re likely to find students. Since Antarctica is a gold mine for both, ambitious students are always venturing south to experience life in this exceptional climate. Organizations like Students on Ice promote the importance of the polar regions by taking students on exciting educational expeditions. But even if you’re not officially a student, don’t fret; this majestic frozen land has a lot to teach anyone who walks within its borders. Too fantastic for mere ordinary caves, Antarctica is home to something much more fascinating – volcanic ice caves such as those near Mount Erebus, the southernmost active volcano on the planet. 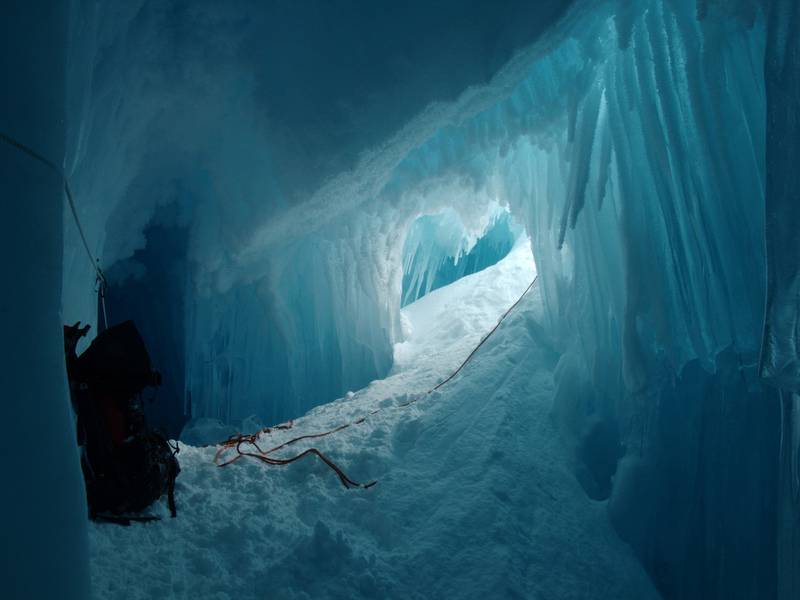 Frozen on the outside and scorching on the inside, the paradoxical caves of Mount Erebus house one of the most isolated and mysterious ecosystems on Earth. The stunning caves harbor thousands of fascinating microbes – by some estimates around 1/3 of the bacteria on Earth – which obtain energy from sources other than the sun. Yes, you read that right. 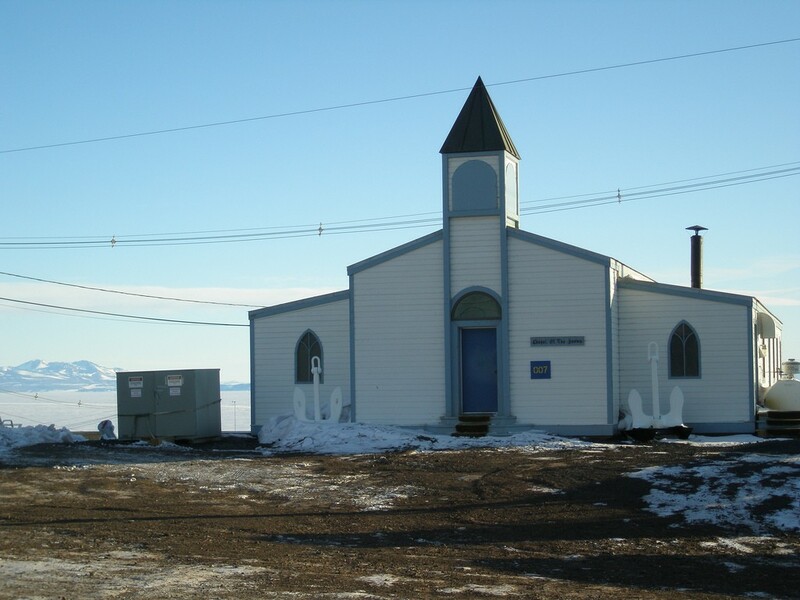 Surprisingly, there are 7 churches in Antarctica, including a Catholic church, an Orthodox church, and a church made of snow – seriously. Considering all the other unpredictable wonders housed on this continent, a stream and small waterfall the color of blood might not seem too far-fetched. 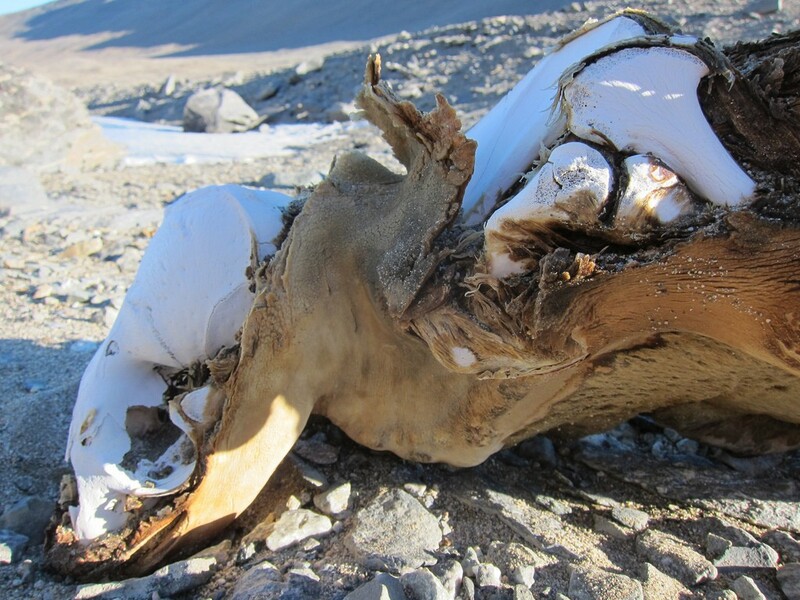 It turns out that this very thing exists, seeping out an opening on the Taylor glacier. While it was affectionately referred to as Antarctica’s “Bleeding Glacier,” the red color is not blood and is paradoxically a sign of life – it turns out that bacteria in partnership with iron trapped in the ice from a time long ago are causing the strangely hued stream. Located at a historical site in Port Lockray dating back to the British Antarctic Survey, there is actually a post office in Antarctic territory. Operated by the Government of the British Antarctic Territory, it sends about 700,000 cards each year to over 100 countries! The post office, however, remains true to the term “snail mail,” with some mail taking almost two months to arrive. While Antarctica is generally thought of as icy and nothing more, it would perhaps be more accurately described as a land of fire and ice. Counting active and extinct, the continent actually possesses over 30 volcanoes! The fire and ice is a potent combination, especially in the geologically active region of West Antarctica. In fact, some active volcanoes and geothermal hotspots can be seen contributing to the uneven melting of some glaciers. Is there anywhere that has managed to escape the Google streetview? Seriously! Antarctica is full of surprises, and this has got to be one of the most incredible. You already know that Antarctica has some of the clearest waters on the planet, but what if you’re searching for the world’s driest area? It must be in some scorching desert far away from the South Pole, right? Wrong – Antarctica takes the cake for this coveted statistic as well! In fact, there are dry valleys hidden among the ice where it hasn’t rained in more than two million years – TWO. MILLION. YEARS! Similarly, water hasn’t flowed across the surface of Antarctica’s Friis Hills for around 14 million years. Minds.Blown. There are many things on Antarctica that you’d never guess were there – churches, marathon runners, blood-red water, volcanoes, a post office… but there are some things you’re certain to find. Surprisingly to some, polar bears are not one of them. While it is a common misconception that polar bears and penguins hail from the same region, they actually sit on opposite ends of the globe; penguins inhabit Antarctica and the southern polar regions while polar bears inhabit the Arctic and the northern polar regions. Like a shape-shifting chameleon, thaws and freezes as well as storms and waves ensure that the Antarctic landscape is ever-changing and ephemeral. If the stunning sights and one-of-a-kind environment aren’t enough to pull you back to Antarctica, perhaps the realization that your second trip will be a completely different experience will do just the trick. With precious few manmade objects in this icy land, you can witness nature as it’s meant to be – pure, flawless, and untouched by the human hand. A picture might be worth a thousand words, but no amount of words or pictures could reproduce the sensation of standing surrounded by such unblemished and exuberant nature. Antarctica affords travelers the opportunity to experience something that is incredibly rare and not really found anywhere else on Earth – true isolation. There will be moments of bliss on any Antarctic journey where it’s just you, the ice, and thousands of stars speckled across a midnight sky. 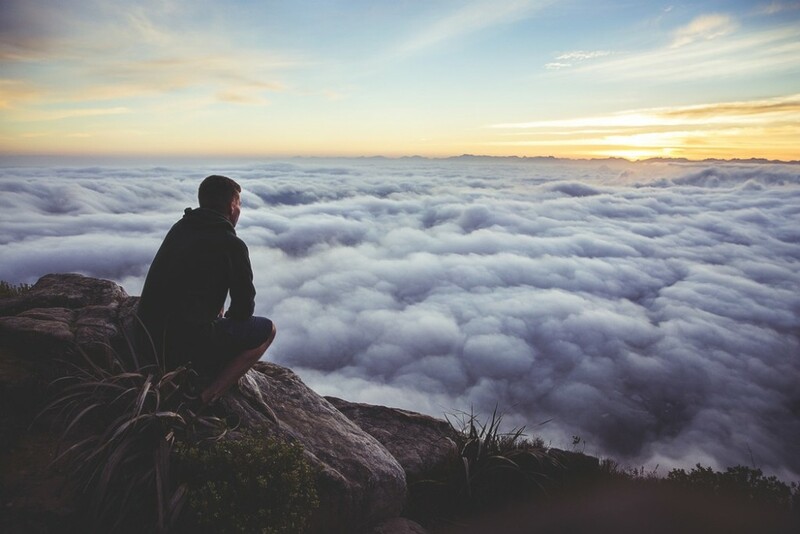 Indulge in these moments of complete solitude, as they very well may make your list of the best experiences you’ve ever had. If Antarctica had a motto, it would be that “Silence is golden.” It’s so silent here that you’ll be able to hear the faint splash of a penguin jumping into the water from your perch above, the characteristic crinkling of your boots on the snow, and the haunting whispers of the frigid wind. But much of the time, it’s just complete and total silence. Enjoy the quiet solitude wrapping these icy lands like a cozy blanket, because in Antarctica if you and the people you came with are not making a sound, it’s unlikely that anything else will be either. Regardless of why you come, you will leave Antarctica a changed person. The icy air, solitude and silence provide a striking sense of mental clarity, whether you are seeking this benefit or not. And these landscapes aren’t just typical worldly scenes of beauty; they are so foreign and distinct that merely gazing upon this unique environment has profound and lingering effect on the human spirit.